Charts for miles per gallon, metric conversion. Plastic pocket holds registration, insurance cards and/or credit cards. 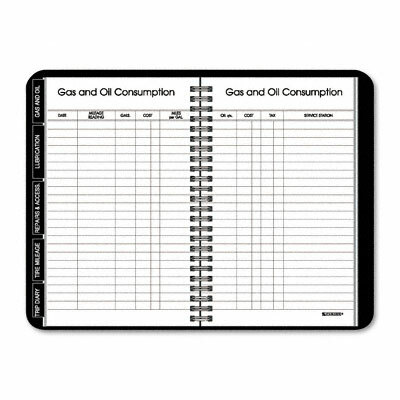 Tabbed index for gas/oil use, lubrication record, repairs, tire mileage, trip diary. Charts for miles per gallon, metric conversion. Plastic pocket holds registration, insurance cards and/or credit cards. A must for those who use their cars for business purposes. Fits in pocket or glove compartment.